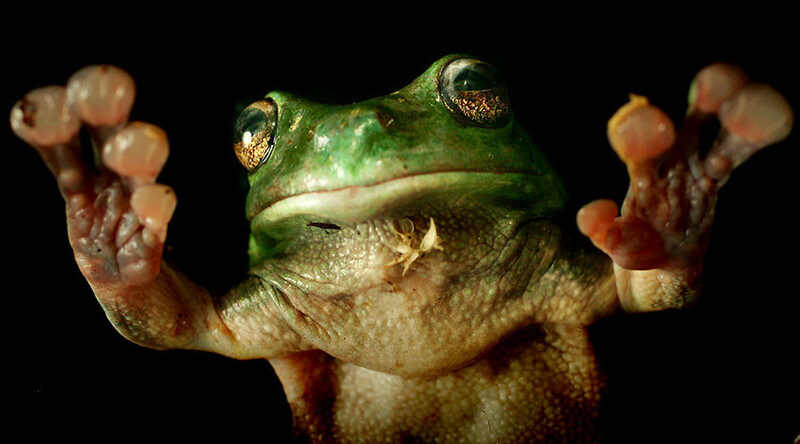 Named Hyalinobatrachium yaku, the amphibian’s trippy features have been detailed in a study led by Juan Guayasamin, of the South American country’s Universidad San Francisco de Quito. A type of glass frog, the creature is one of only three known species to have its vital organs on display. Its discovery was confirmed in the Amazonian lowlands of Ecuador during a series of fieldwork studies between 2013 and 2016. According to experts, the glass frog can be differentiated from similar creatures by the dark green speckles on its head and back. The reproductive behavior of the Hyalinobatrachium yaku is thought to be unusual in the animal kingdom since the males provide parental care to eggs. Despite its existence only becoming known, the frog’s survival is already considered to be under threat from pollution from oil and mining activities.